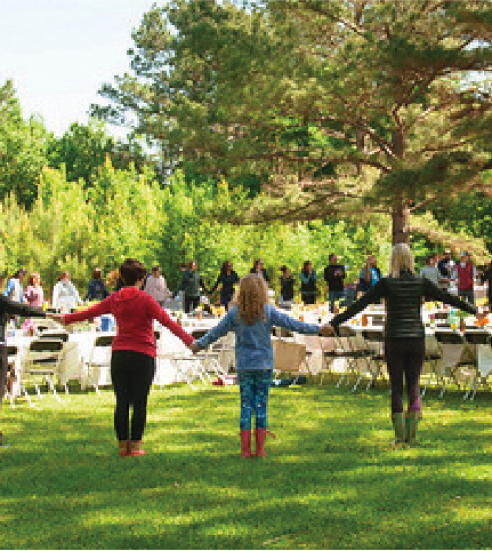 In its second year, Yoga Farm Fest, a new large-scale event bringing the wellness community together to celebrate mind, body and soul, is coming to south Shreveport April 26-28. This inspirational weekend at 10560 Ellerbe Road (known as the Perkins Property) will be filled with yoga, meditation, qigong, hula-hooping, stand-up paddle boarding (SUP), live music, farm-to-table food prepared by local chefs, acupuncture, massage and more in a beautiful outdoor setting. 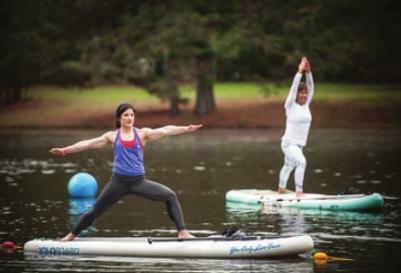 Attendees will be able to walk the beautiful grounds and visit the “Wellness Village,” “Healing Village,” “Kids’ ‘Village,” “Retail Therapy Village” and the “Stand-Up Paddle Board Pond.” H2Go Paddle out of Monroe will also be providing demonstrations of paddle boards in the SUP Pond location. The “Wellness Village” will be featuring many local physicians such as Dr. Jennifer Singh, Dr. Karen Pendleton and Dr. Adam Blancher speaking throughout the day about a variety of health-related topics. Many of this year’s yoga stage musicians are new headliners and will be traveling from many different cities to perform at this year’s festival. Making appearances: Nicole Peltier, who specializes in “Rock N Hip Hop Yoga” from Tulsa, Okla.; Rachael and Josh Riley, meditation specialists from New Orleans; and Ally Ford, from Clearwater, Fla., who specializes in “Rocket Yoga,” which is a specialized form of yoga that began in San Francisco in the 1980s; and Anton Mackey coming from Phoenix, Ariz. Kids will have a special place to hang on Saturday at the “Kids’ Village,” which will feature their own yoga, hooping, and arts and crafts. The festival begins on Friday night with a registration packet and swag bag pick-up at Red River Brewing from 5-8 p.m. Registration will also include live music with Rob Riccardo, one of the featured weekend musicians coming from Arizona. His integrated style of folk, rock and reggae-infused music has become a favorite at yoga-inspired events. Tickets for the entire weekend of activities is $125, which is a discounted rate for both days. Saturday- or Sundayonly tickets are $75 each. Children 12 and under are free. 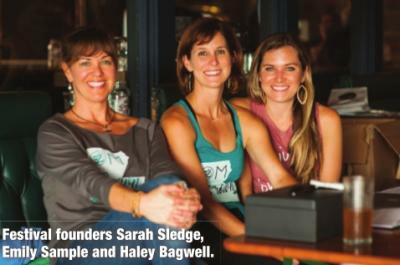 Tickets are on sale now and may be purchased online at yogafarmfest.com. The festival will open at 9 a.m. on Saturday with parking available across the street in the Ellerbe Road Baptist Church parking lot. Saturday activities featuring local and national instructors and musicians will begin at 10 a.m. and continue through 5 p.m. on the Yoga & Music Stage. Main stage classes are open to all, and no yoga experience is required. On Sunday, activities start at 9 a.m. through 11 a.m. and are followed by a unique farm to table family-style brunch with Ki Mexico, Sample Farm and live music. Ice chests and coolers will not be permitted on the event grounds. Rain or shine, the festival will happen. For additional information, visit yogafarmfest.com or email questions to theyogafarmfest@gmail.com.